Register Log In ECN Forum Forums Electrical Nostalgia What is This? 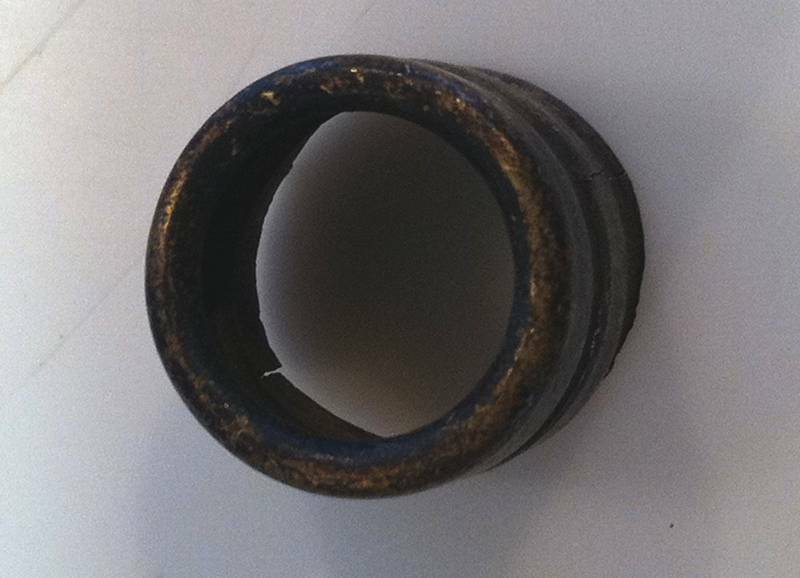 Looks like the cap part of a liquidtight connector assembly. 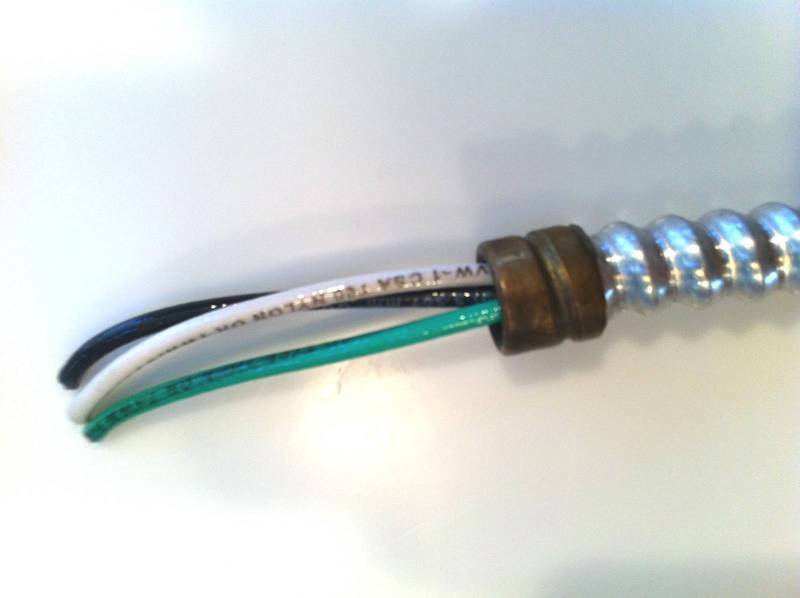 How about...an 'S' fuse adaptor that was slightly butched? Just the outer shell part of some sort of screw in light bulb base. Looking at the thread spacing....perhaps you got it Thiggy! 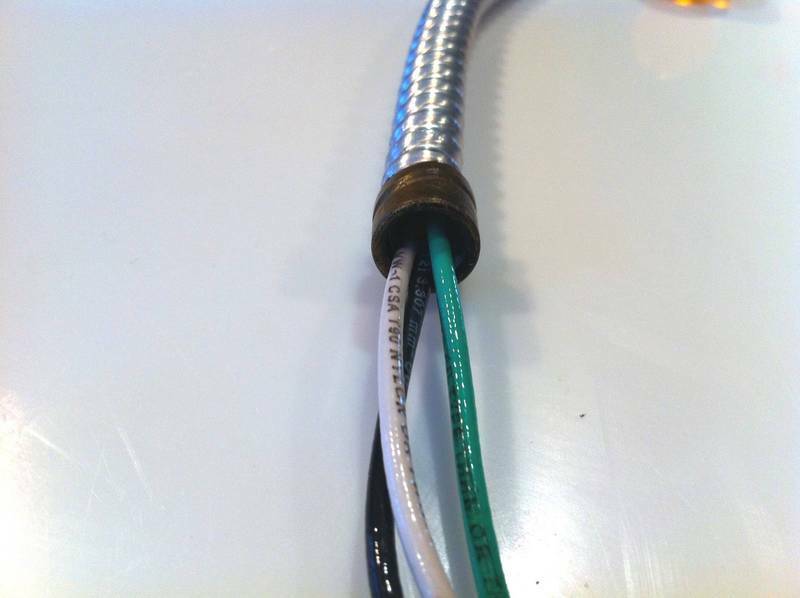 Armour from a MIMS cable ? Last edited by sparky; 02/25/11 12:48 PM. Is this one that has been removed after being installed? The right side of it looks a little rough. 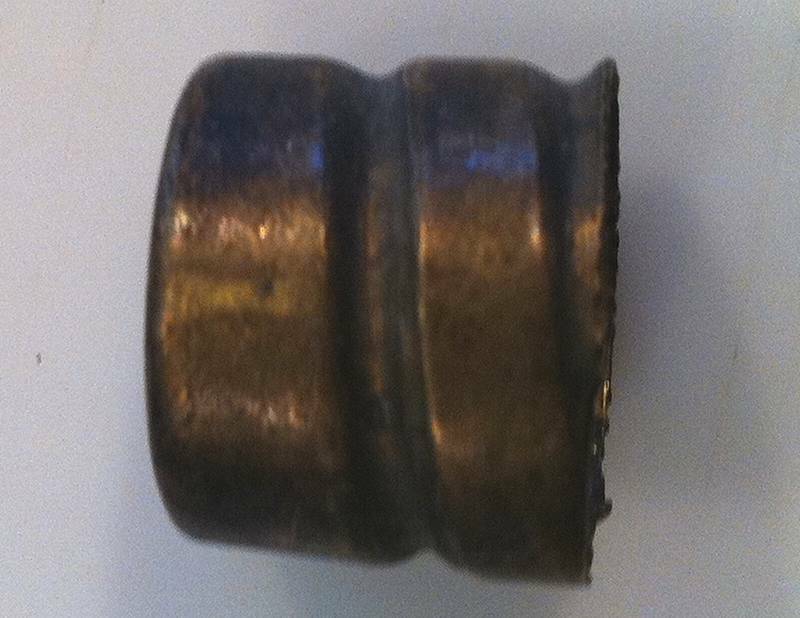 It's a brass "Anti-short" bushing for old armor cable wiring. The following pictures show how it was suppose to be installed. The only thing wrong here is that I only have a piece of new MC cable and I didn't have a piece of an old armor cable, but you should get the idea.